So after pondering for a while, I finally decided to make the switch from the QWERTY keyboard layout to Colemak. This post will be about keeping track of my progress for my reference. I can touch type with QWERTY and have been typing on the layout for close to 10 years now, my average speed on 10fastfingers being 45-55 WPM. Colemak promises faster typing, less finger movement and overall more comfort, especially for the wrists; while not being as drastic a switch as Dvorak. I know that it could take me a year to adapt(that is how much time people say it takes them to get fully up to their typing speed with QWERTY before they changed layouts) but I’m up for it. Colemak is also much more closer to QWERTY than something like Dvorak, which is radically different. It also doesn’t change the commonly used shortcut keys like C, V, Z and A and is much more compatible with programs like Vim and their shortcuts. I primarily use the Gnome desktop environment. The switch was extremely simple and I could simply add the layout in the settings and use Esc+Space to toggle between it and QWERTY. I did not have to map anything more in software as far as general usage is concerned. The switch should be easy and baked in for most Linux distros and Mac OS, however you will need this software for Windows. Also do note that some keyboards have QWERTY set in hardware and the layout cannot be changed in software. For Vim, there exist many configs floating around to subtly remap a few things like the HJKL keys. You can find them in this forum thread. So far I haven’t had to try any of them out because I sport a compact 61 key keyboard with a lot of remap keys baked in. 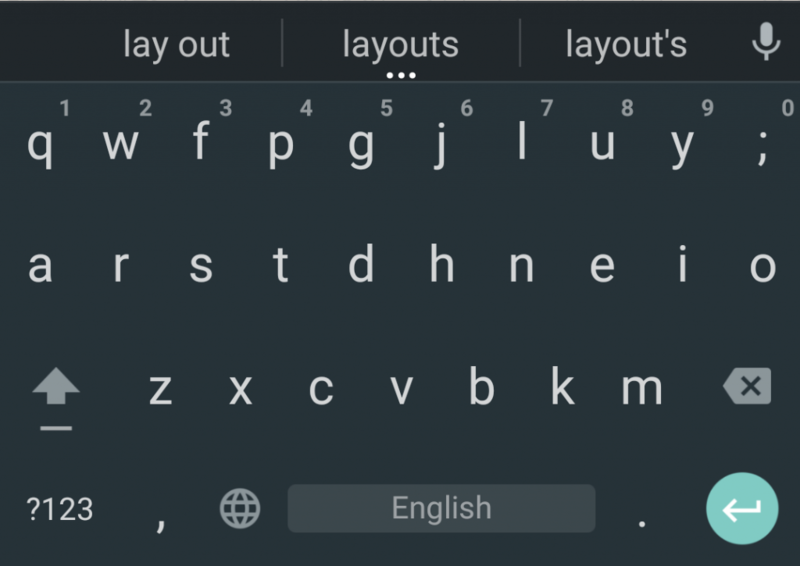 Colemak is natively supported by the default Android keyboard and you should be able to find it in the language and input settings. The Colemak FAQ recommends against using it on a phone as it relies more on rolling motions than alterations. I did so anyway just to familarise myself with the layout. The option is non-existant on iOS. It is close to impossible to get a keyboard with Colemak keycaps. So these are your options. Write down the Colemak keychanges on your keyboard next to the QWERTY keys with a marker. 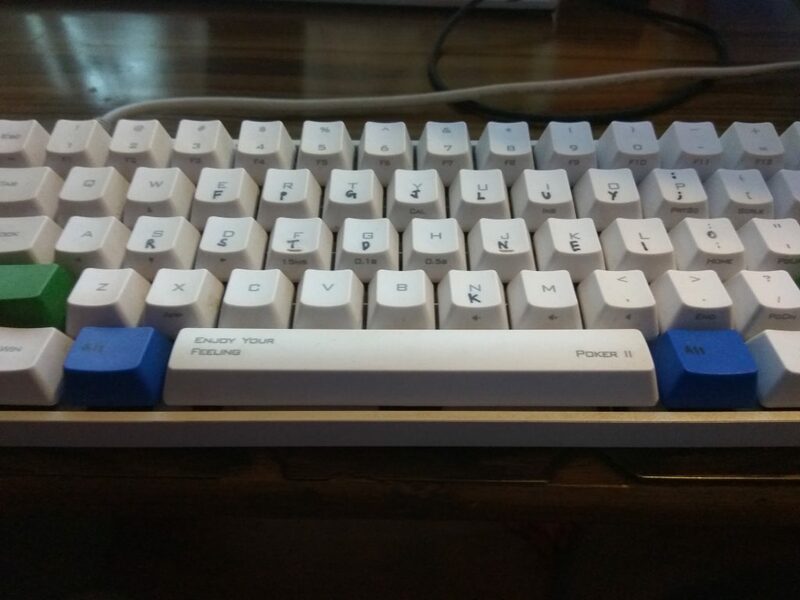 Get blank keycaps for your keyboard or get a keyboard with blanks. Get a keyboard with flat keys and rearrange them. I believe they are called DAS keycaps on mechanical keyboards. You can get Colemak childsets for aftermarket keysets for mechanical keyboards. For a Macbook you can get a keyboard cover from here. Ideally you shouldn’t need any of this but I decided to go in for the first option since I am a beginner and needed the convenience of peeking at my keyboard. I’ll list down some websites which provide an excellent resource in helping you switch to Colemak. Colemak website – has a wiki with all things you need to get started. Colemak forum – excellent place where people have shared their experiences in switching. Colemak subreddit – good place to have a discussion/get your questions answered. Make sure you learn to touch type and avoid looking at the keyboard. Recommended finger layout is defined here. I switched “cold turkey” but you could also try out the Tarmak transitional layout or type a few hours of Colemak per day to familarise yourself. I take the 10fastfingers test twice every morning, evaluate my results and plot the average on this graph. This chart will be updated every day. Tracking progress is a good way to keep you motivated. You can also use a spreadsheet or simply a text document.